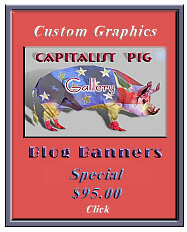 Blog Idaho: Perfect Gift for Liberals. No it's not an Endoscope. Remember before the last election when Alec Baldwin and several other celebrities claimed that if Bush won, they would leave the country? Here's the perfect gift for those unhappy individuals, it's a book by Mark Ehrman, titled Getting Out: Your Guide to Leaving America. "Now that habeas corpus and other basic rights, including the right not to be tortured while interrogated, have now been deemed unnecessary, more Americans than ever have been thinking of getting out the door while they still can. The U.S. is going to close the borders and revoke all our passports? Is it my imagination or aren't people trying frantically to come IN to this country? Apparently there are 50 countries better than the United States to live.